Look for Verizon Elves & their Goodies at the Detroit Tree Lighting & Tweet to WIN a Droid Turbo! The festivities for the Detroit Tree Lighting Ceremony presented by DTE Energy Foundation will include entertainment, live music, and many other seasonal family activities. 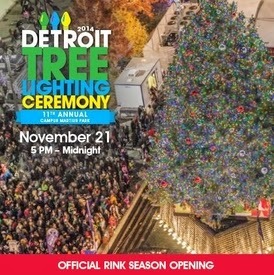 Click here to see the entire Detroit Tree Lighting Schedule. This year's tree from Cadillac in the northern Peninsula will be wrapped in 19,000 multicolored LED lights and adorned with red and silver ornaments. But in addition to the fabulous tree lighting, Verizon Wireless will have their own elves on hand to share the joy of the holiday season. In celebration of launching the Droid Turbo, exclusive to Verizon, the elves will be handing out and placing shells of Droid devices around Campus Martius Park that can be redeemed at one of five metro Detroit Verizon stores for a special prize. 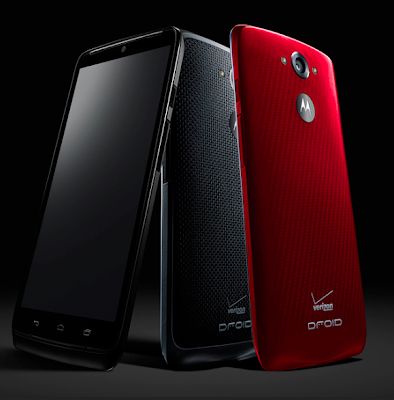 Verizon Wireless is also sponsoring a Twitter Giveaway to celebrate the recent launch of the Droid Turbo. Just Send a tweet with the #VZTurboSweeps hashtag between now and November 23 at 7 p.m. to be entered to win a new Droid Turbo! 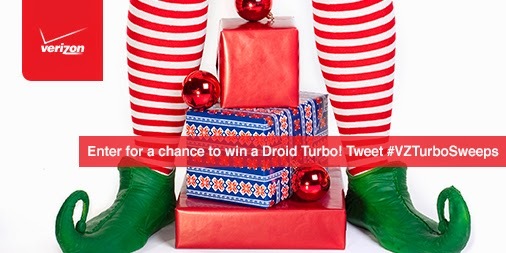 All you have to do is tweet with the hashtag #VZTurboSweeps to enter the sweepstakes! One winner will be selected on November 24. Will it be you?? ?